Gülbahar is married and a mother of two. 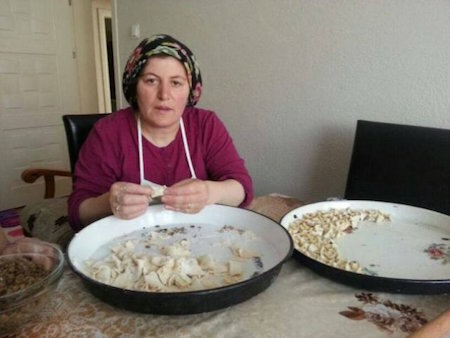 She is making Mantı (Turkish ravioli) pasta and Börek (pastry filled with thin layers of food) at home and then sells them from home. With the help of the loan from MAYA, she is planning to buy flour, eggs and meat in bulk, to make more money and improve her business. Congratulations to Gulbahar in Turkey!